Phillip, a native of Smith County, started in the funeral business when he was 16 years of age at the Hackett Funeral home in Smith County. It was his ambition to have his own business. 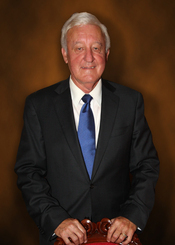 In 1977, he purchased the present Anderson & Son Funeral Home and Memorial Park. He, later purchased the former Alexander Funeral Home in Red Boiling Springs renaming it Anderson & Son Funeral Home. In his earlier years he was a member of the Lafayette Rotary Club where he has served as a past President. He is a member of the Cornwell’s Chapel Missionary Baptist Church. Phillip is married to the former Shirley Lowery, has a son, two step-children, three grandchildren and five step-grandchildren. 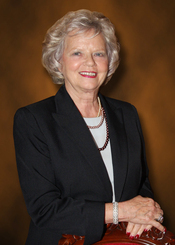 Shirley is a native of Smith County where she retired from the State Department of Health with 31 year of service. During this time, she served as the Service Chairman of the Cancer Society, Chairman, Child Development Council, member of the Foster Care Review Board, member of the Truancy Board. After retirement, she worked as Human Resource Director for Carthage General Hospital. After the death of her husband of 30 year, she married Phillip Anderson in Macon County, thus starting in the funeral profession passing the State Board to practice funeral directing in Tennessee in 2000. She is also a licensed insurance & pre-need counselor in the Sate of Tennessee. Since coming to Macon County, she has served on the RAD Committee, Chamber of Commerce, Chairperson, Small business Development Week, and Literacy Board, Lafayette Garden Club and is Vice Chairman of the Macon County Arts Council She has placed 1st on two occasions in watercolor artwork in the local Arts in Bloom competition and 2nd and 3rd place and 2nd place in Kentucky. She has placed 1st in the local Fair art competition. She has taught Sunday School Classes, was a member of the Church Choir and “Adult Singing Ensemble” at First Baptist Church in Carthage. She is currently a member of the Cornerstone Baptist Church in Carthage. All the watercolor artwork displayed at Anderson and Son in Lafayette, Red Boiling Springs and Gallatin, as well as on this website were created by Shirley. She is an avid flower gardener. She has two children, a step-son, five grandchildren and three step-grandchildren. Wayne, a native of Smith County, started working full time with his Dad, Phillip, in the funeral business in March of 1987. He is a graduate of Smith County High School and a graduate of the 1989 class of John A. Gupton College of Mortuary Science. He serves as the manager of the Anderson and Son Funeral Home in Red Boiling Springs and is a nationally eligible Licensed Funeral Director and Embalmer. Wayne currently sits on the Board of Directors at Macon-Trousdale Co-Op and Board of Directors at Macon County Farm Bureau. He and his wife, Lee Ann, have three children, Landon, Logan and Leah. Lee Ann, a native of Macon County, is a graduate of Macon County High School and the 1985 Class of John A Gupton College of Mortuary Science. She is a nationally eligible Licensed Funeral Director and Embalmer in Tennnessee as well as being a licensed Funeral Director and Embalmer in the State of Kentucky. She is also a Licensed Insurance Agent and Pre-need Counselor in the State of Tennessee. She started working with the Anderson and Son Funeral Home & Memorial Park in Lafayette in December of 1985 and in Red Boiling Springs since 1986. Lee Ann is a member of the Old Bottom Missionary Baptist Church and has been active in the Macon County Youth Leagues serving as a former coach in softball and basketball. She and her husband Wayne, have three children, Landon, Logan and Leah. Terilyn is a Macon County native, living in the Russell Hill Community before moving to Lafayette. She is a graduate of Macon County High School and a graduate of Volunteer State Community College, where she received an Associates of Applied Science degree in Accounting. She worked as Deputy Clerk in the Macon County Clerk's office for nine years while James Ralph Howser served in that office. She began working for us in 2015 as an Administrative Assistant and started in the Apprentice Funeral Director program in 2017. In January 2018, Terilyn became a student at John A. Gupton College to get her Funeral Director Certificate. She is the daughter of Elaine Hesson Emberton and the late Jerry Emberton. She is married to Dewayne Sloan, son of Linda Sloan and the late Larry Sloan. She is a member of Eulia General Baptist Church, where she enjoyed many years of being a Sunday School teacher with the preschool children. She and Dewayne live in the Union Camp/Willette area with their two sons, Ryne and Bret. She loves spending time with family and friends. Ronnie is currently a student at John A. Gupton College, where he is pursuing an Associate of Applied Science Degree to get his Funeral Director and Embalmer’s license. He began working for Anderson and Son Funeral Home as an Apprentice Funeral Director/Embalmer in January 2018. Ronnie is a Macon County native, who has always lived in Red Boiling Springs. He is a graduate of Red Boiling Springs High School. After graduation, he went to Volunteer State Community College to further his education for some time. He then worked for many years with his father in the Construction business. During those years, he also continued to farm as his still does today. He is the son of James (Bobby) and Dixie Morgan. He is married to Angie, and they have one son, Owen. He loves spending time with family and friends and the time he gets to spend on the farm. 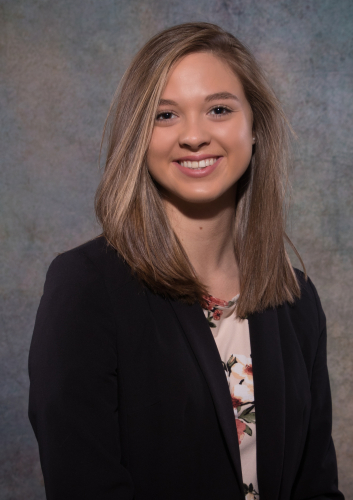 Jessica is a native of Macon County, a 2017 graduate of Macon County High School and a 2018 graduate of John A. Gupton College of Mortuary Science. She is currently serving her apprenticeship for her funeral directing and embalming license. She is also crematory certified. Jessica is the daughter of Larry Wayne and Christy Law. She is a member of Haysville Missionary Baptist Church, where she enjoys playing piano for them each Sunday. She also attended many music schools in Tennessee while growing up. She loves working on the farm and raising a garden each year with her family. Skip is a native of Macon County, has worked as a licensed Funeral Director for Anderson and Son Funeral Homes since 1993 working full time for several years and currently part time. He was retired from TRW after 20 years and served as a North Central Telephone Board of Directors for 15 years. He is a member and serves as a Deacon at the Dixon Creek Missionary Baptist Church and a member of the Hillsdale Masonic Lodge #664. He and his wife, Carolyn, have a daughter, two granddaughters, and three great-grandchildren. Amelia works part time as an assistant. She and her husband, James Copas, have four children and six grandchildren. She attends Bethany Missionary Baptist Church and loves gardening. Sina works as an Assistant at Red Boiling Springs and Lafayette. She is a graduate of Macon County High School, a Board Member of the Alumni Association, and a member of the FCE Club. She was married to James Lancaster who preceded her in death on September 6, 2014. A son preceded her in death from an automobile accident. Sina is a member of the Mt. Tabo Missionary Baptist Church. She has a son, and three grandchildren and a great-grandchild. Roger has been employed with the Anderson and Son Funeral Home and Memorial Park since 2002. Roger takes a lot of pride in making the Anderson and Son Memorial Park one of the most beautiful in this and surrounding areas. He loves gardening and working outdoors. He and his wife, Diana, have two children and four grandchildren. Larry has been working two summers helping keep the grounds at the cemetery and funeral homes. Prior to working at the funeral home, he worked for Ace Hardware in Lafayette for about eight years. He is married to Janice. The have a daughter and one grandson, Tyler.